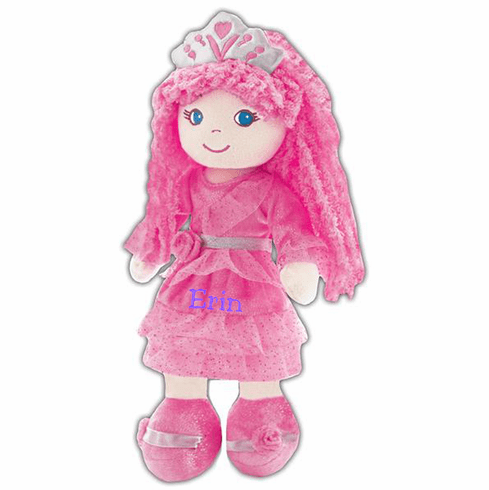 This adorable soft cloth dolly's arms, legs, face are soft velboa. She has a super cute pink and silver sparkly princess dress, crown, soft pink yarn hair & blue eyes. She is 14" tall. Her adorable little face is fully embroidered. Appropriate for ages 3 and up & surface washable, what more could you ask for? A must cute soft dolly for your sweet little girl! Please note; this item will be embroidered with your child's name or 3 initial monogram in the font and thread color shown unless otherwise instructed. 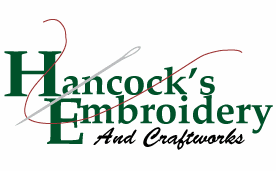 Your item will be embroidered as per the sample with your choice of name or 3 letter monogram including the design (if applicable), in the font and thread colors shown unless otherwise instructed. If you are choosing to have a 3 letter monogram embroidered please refer to the monograms section below for complete instructions.